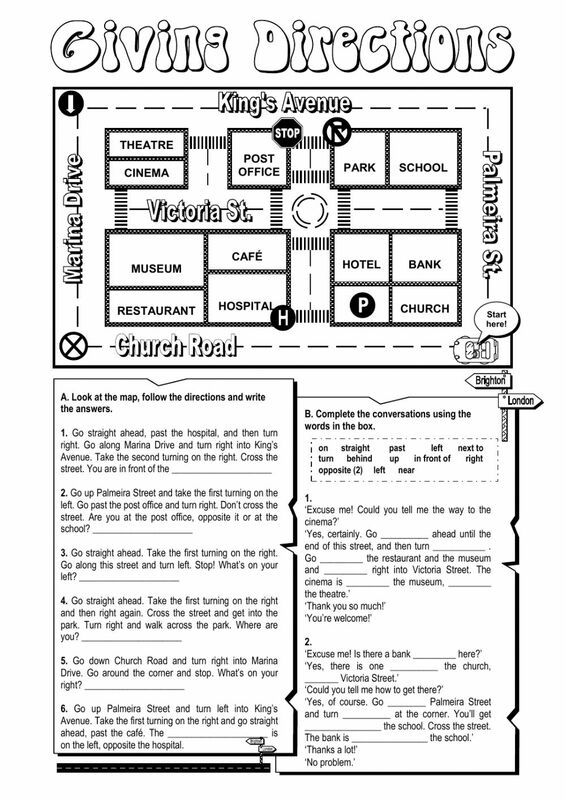 Look at the map, follow the directions and write the answers, plus fill in the conversations with the words given. Copyright 10/13/2016 Gabriela Sandru. Publication or redistribution of any part of this document is forbidden without authorization of the copyright owner. DO you have the answers?? it's so great, thank you! Had issues finding the answers for 3, 4, and 5. However, I found that if you go to "how it's made" (link up at the top), it will bring up the answer key!